Ludwig Pfeiffer senior established the construction and civil engineering firm in Kassel in the early 1930s. Initially, the company focused on building water and sewage pipelines and in the following years garnered a reputation as a specialist in this sector. The period of post-war reconstruction in Germany also had a favourable impact on Pfeiffer. By the 1950s, the company had already grown to have a workforce of around 600. However, this was largely due to the numerous work creation schemes in force at the time, with building contracts only awarded on condition that jobs were provided for the unemployed. Over the years, new locations were added throughout Europe and beyond. Nowadays, the company‘s network stretches from France, Portugal and Italy via the Czech Republic, Slovakia and the Balkans to Delhi and Hong Kong and further on to Latin America with reference projects in all corners of the globe. The company has not only added new countries and business segments in recent years, but has also expanded its existing capabilities. The coming decades then witnessed the real recovery. Pfeiffer acquired its first excavator in the late 1950s, which revolutionised its civil engineering operations. What had been done until then on the strength of physical labour alone now became much faster and more efficient. In the period that followed, the company invested heavily in construction machinery, resulting in an increase in order volume. At the same time, it exploited new areas of business in the gas and district heating sectors in the early 1970s. When the Berlin Wall fell in 1989, the company in Kassel had around 100 employees. Following German Reunification, Ludwig Pfeiffer opened branches in Leipzig and Erfurt. Whereas other firms bought up former GDR-owned construction companies cheaply after reunification, Pfeiffer always started from scratch with an ambitious and highly dedicated workforce. Ultimately, the company‘s success within the market confirms that this was the right course of action. The Leipzig subsidiary is now one of the largest piping engineering companies in the region, while further branches were established in Dresden, Halle, Berlin and Magdeburg. In the meantime, Ludwig Pfeiffer has evolved from a specialist in specific areas to a single source supplier. From pipeline construction and sewer rehabilitation through turn-key building construction including planning and project management to the sale of materials and spare parts, the company offers everything from a single source. 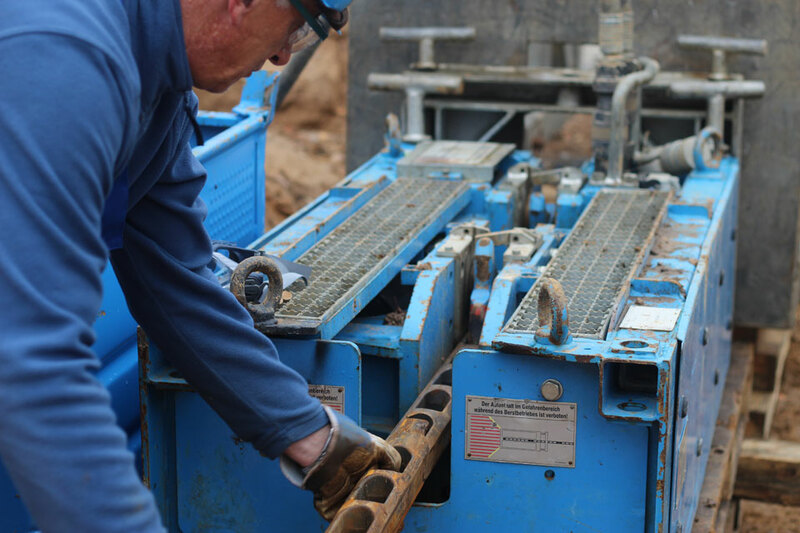 In core areas like pipeline and sewer construction, for example, the services offered range from household connections to complete pipeline systems encompassing all diameters, pressure stages and materials. The company is firmly committed to innovative processes for the purpose of extending its service portfolio. For example, it now offers trenchless technologies as well as pipe and sewer rehabilitation. In providing these services, Ludwig Pfeiffer uses state-of-the-art technologies and forward-looking solutions. For decades, the know-how of its experienced workforce has ensured the successful implementation of projects for customers in Germany and beyond.